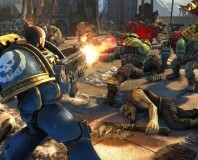 THQ has confirmed that it will add co-op support to Warhammer 40K: Space Marin in free DLC due by the end of October. 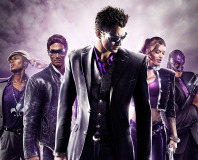 The free upgrade will add support for up to four players over an online connection and will be dubbed Exterminous mode. 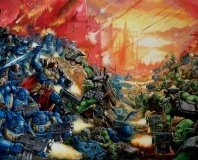 Exterminous will allow you and a group of up to three friends fight the forces of Chaos and the Ork hordes together, using the three classes: Tactical, Devastator or Assault. When Exterminous will launch with just two co-op levels, titled ‘Assault on Hab Centre Andreas’ and ‘Escape from Kalkys Facility’, both of which will also be available for multiplayer play. Weapons and perks unlocked in competitive play can then be used in co-operative. Space Marine is an upcoming third-person shooter which Harry can't wait for. We spoke about Space Marine with Black Library author James Swallow on our podcast, but you can also read our Space Marine preview for more information. Check out the trailer below, then let us know your thoughts in the forums.